The York County School of the Arts (SOA) is a program in the fine arts, providing students with an education comparable to the math and science opportunities offered by the Governor's School for Science and Technology. SOA is located at Bruton High School and is open to all students in grades 9-12 in the York County School Division. Students in the Grafton, Tabb, and York attendance zones have the option of choosing Bruton High School as their home school. Programs are offered in the areas of the Literary Arts, Theatre Arts, Advanced Technical Theatre, and Dance Arts. Literary Arts students attend SOA one block per day and receive one weighted English credit and one weighted fine arts credit. Theatre Arts students attend SOA one block on alternating days and receive one weighted fine arts credit. Advanced Technical Theatre students attend SOA one block on alternating days and receive one weighted fine arts credit. Dance Arts students attend SOA one block on alternating days. Students in Dance Arts I and II receive PE credit - including Drivers Education; students in Dance Arts III and IV receive a weighted fine arts credit for each year. Students interested in attending SOA must submit an application. Applicants will receive notification of a scheduled interview date and specific information for completing the application process. All applicants submit three teacher recommendations and are interviewed by SOA instructors. 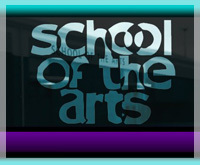 Visit the School of the Arts website for more information.